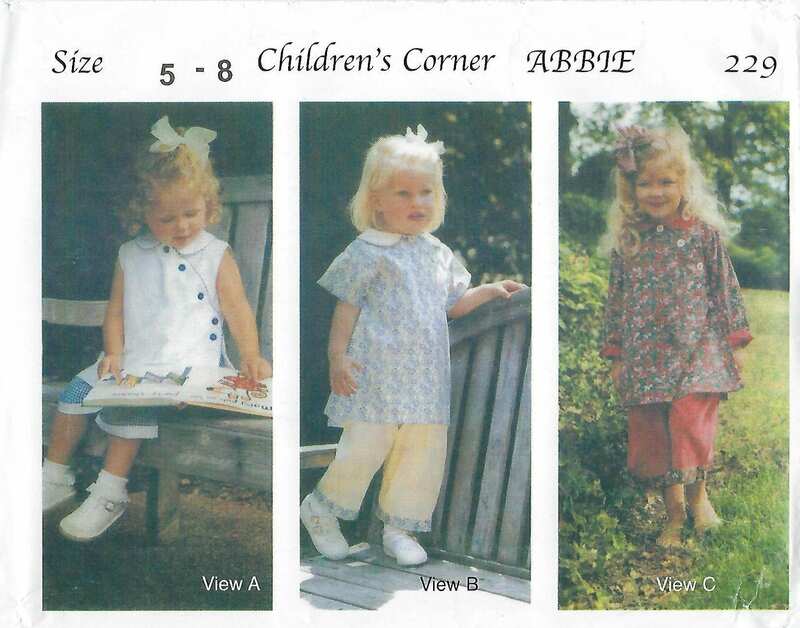 ABBIE is a versatile girl's pants outfit that can be made with three different sleeve lengths. The lined top buttons diagonally across the front and is open down the left-hand side. Pull on pants have elastic at waist and are banded in contrasting fabric. 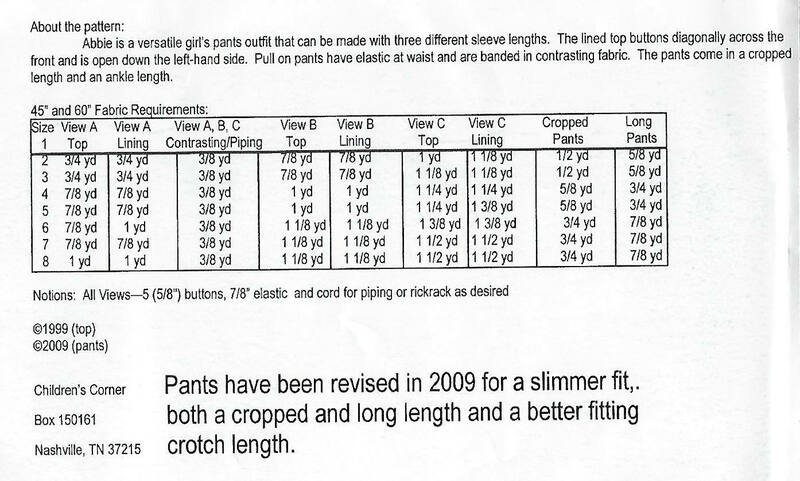 The pants come in a cropped length and an ankle length. Very pleased with purchase. Item is in excellent condition.